As part of their promotional campaigns for footwear across Asia, Reebok produced quarterly point-of-sale display material for distribution to all manner and size of sports goods shops. 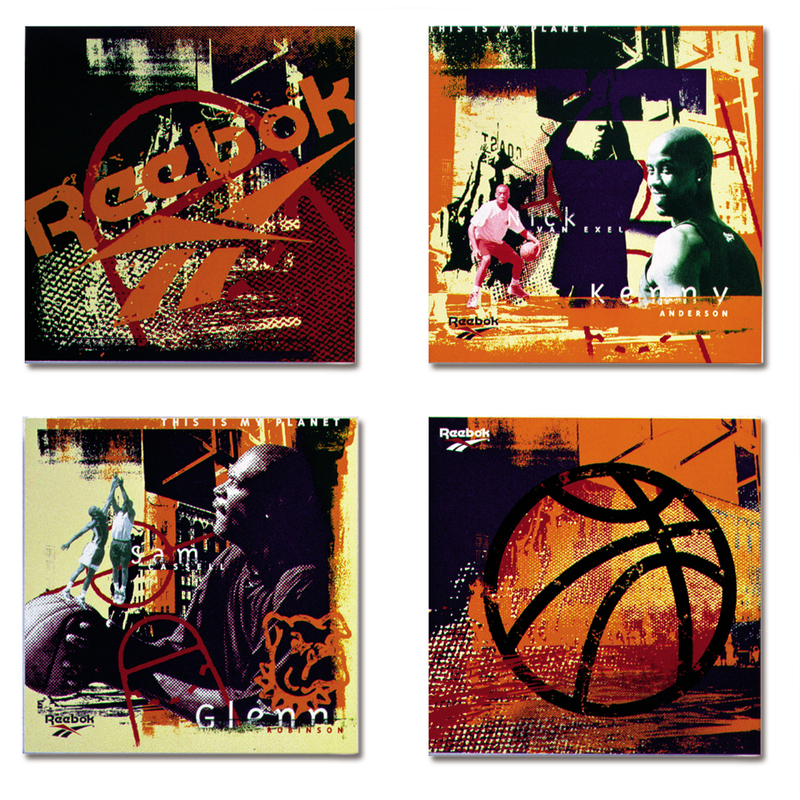 To promote Reebok basketball shoes through POS displays. First of all, the country distributor had to like the campaign and material. They then purchased it and distributed it to the shops in their country. These range from tiny ‘Mom and Pop’ shops to shops in large malls in the bigger cities. The next audience were the teenagers and young adults who played mainly street basketball in countries across Asia Pacific. Hero worshiped the American basketball athletes. Wear shoes outside of the court as street fashion, so image is very important. These Reebok shoes are really fashionable, cool and my friends will love them. The top players wear them. They will help my game as well. Reebok basketball shoes – worn by the best players. We only had a few 35mm slides to work with so we had to be very creative with what we had. We created a grungy, street look and accentuated the dot screen and effects to hide the poor quality images. We produced hanging cards, banners and posters.